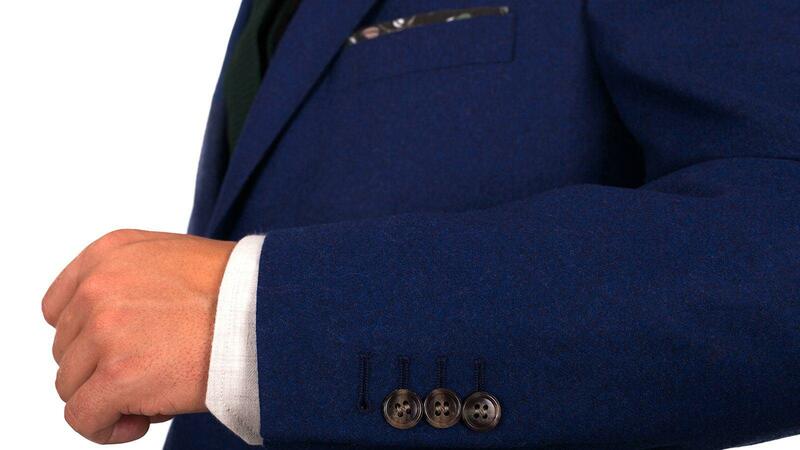 This rich royal blue colour wonderfully compliments the luxurious textured look and feel of the wool flannel fabric. 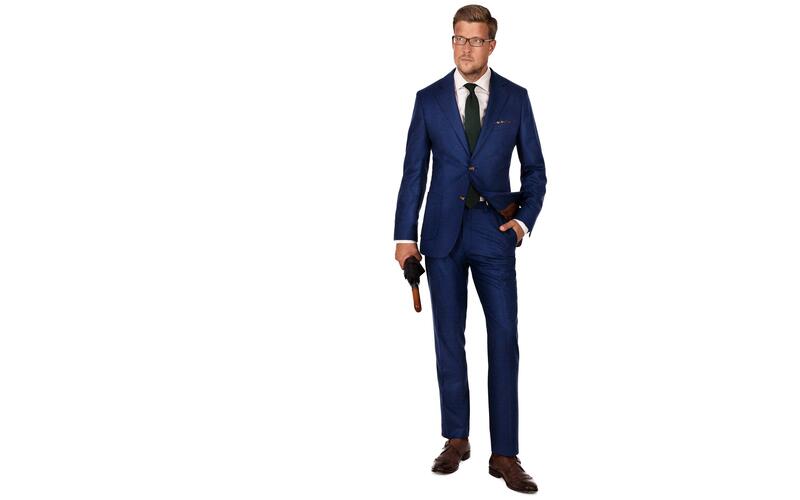 This is a somewhat bolder shade of blue than your typical, but a great option for the more daring gentleman. 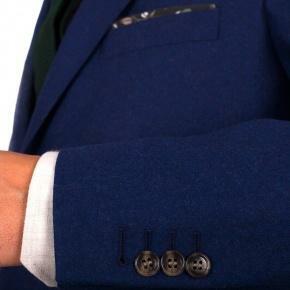 You can add patch pockets as per our illustration here if you wish to make the suit more casual, however, for a very different, more formal, yet still stylish look (plus with added warmth in winter), you can choose to add a waistcoat - but, if you do, we’d advise choosing flap pockets. The light Super 100s woolen flannel by the Italian fabric experts Vitale Barberis Canonico is luxuriously soft and creates a suit with fantastic drape and a comfortable, cosy feeling. The versatile navy colour is super easy to dress up or down depending on the need and occasion. This is not your regular everyday suit, but a refined, elegant approach to the seasonal business attire. Prepare to face winter like a true gentleman with a click on “Customize now”. Fabric specifics: pick stitching is done in a very subtle manner, so on fabrics with a very soft finish such as this one, it may be just barely visible on the lapels & collar.